Say what you will about the president. He's got kind of a cool trophy, though. 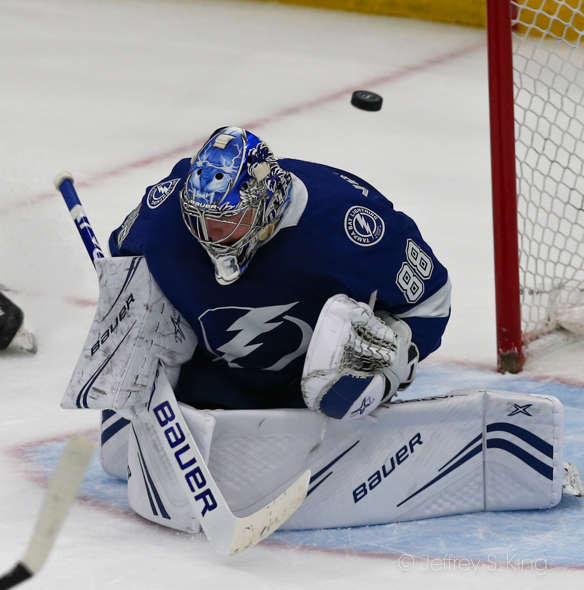 The Tampa Bay Lightning clinched the President's Trophy Monday night, beating Arizona 4-1 to make sure they will finish with the best record in the NHL this season. The assault is no longer simply on the National Hockey League. It's also on the history books. 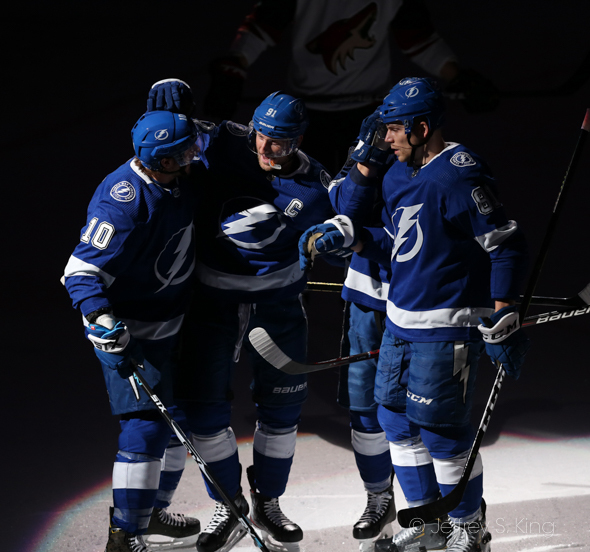 The Lightning now has 116 points on the season, which ties them for the 23rd best season in NHL history. If the Bolts get three more points, it moves them into the top 10. If they get nine more points, they move into the top five. If they get 17 more (of 18), they pass Montreal for the most of all time. 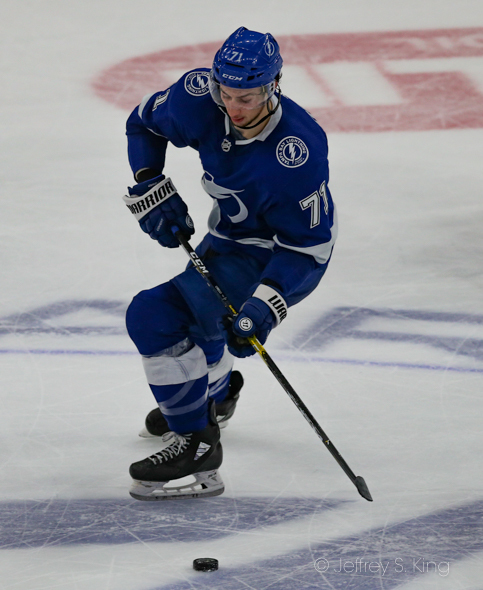 The Lightning required the second-fewest games to win the Presidents’ Trophy in NHL history at 73 games. Only the 1995-96 Detroit Red Wings needed fewer games (71). Something to worry about? Nine of the previous President's Trophy winners have lost in the playoffs. 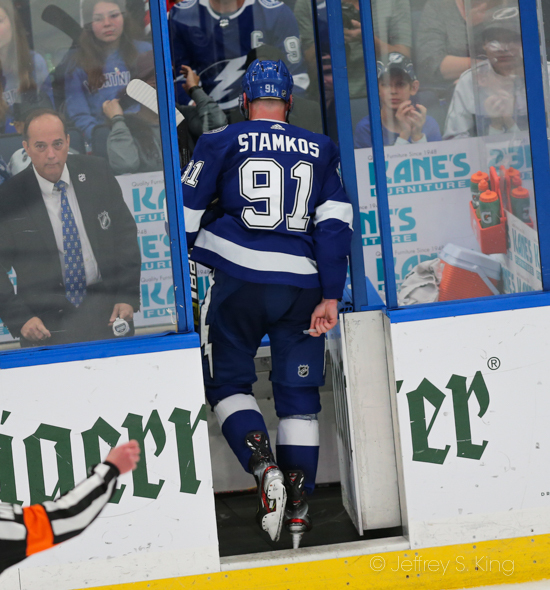 Steven Stamkos also had a historic night. 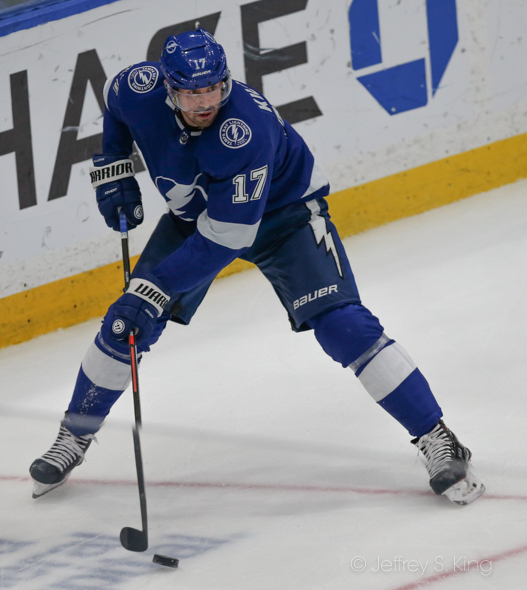 He scored his 384th goal, which pushes him past Vinny Lecavalier into first place in Bolts' history. 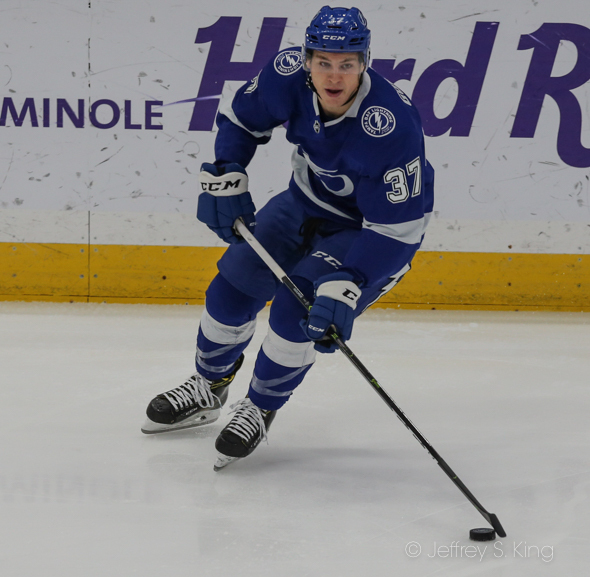 "I've had a front row seat for a lot of them," Lightning coach Jon Cooper said. "It's been one of those years, you just talk about the team winning the Presidents’ Trophy. You look at Kuch and the record he broke for most points, and it just seems that it's just one of those magical years where records are dropping. When you've had the success like we've had this year, it's going to happen. With this group, it's a team-first attitude, but it's cool to see these guys get these accomplishments that they're justly being rewarded for. "Because you really think about it, Steven Stamkos was 10 years old, by his 28th or 29th birthday, would he think he was going to be the all-time leading scorer of a franchise? That's an unbelievable accomplishment. He's forever going to be able to say that until another Steven Stamkos comes along. They’re few and far between, and he has brought the fans in this community out of their seats many times. Tonight, they stood a little longer for him." goal earlier in the game. 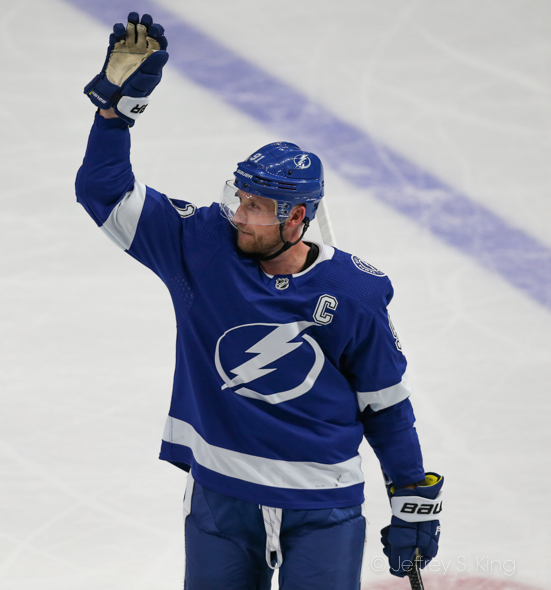 "It was pretty special," Stamkos said. "I didn't know how it was going to happen or how I was going to feel, but there was definitely some emotions, especially when we had the TV timeout there and the crowd was going crazy. It was pretty amazing to see how they reacted, how my teammates reacted. I was very honored and humbled to be a part of history like that, especially with some of the guys that I was lucky enough to play with in the past and to be up there with them. Definitely glad it happened in a win in a game like today where so many special things happen." Stamkos said he appreciates his time on the ice with Lecavalier. "Vinny reached out to me after tying the record, which was pretty special the other night. Ran into him last night at dinner too, so whether that was an omen tonight or not in a good way. But he meant so much to me in my career and he kind of took me under his wing, him and Marty when I came into this organization. So like I said, you don't dream of owning a franchise record for goals for an NHL organization. I've been here a long time, so that's what that means but hopefully a lot more to come." 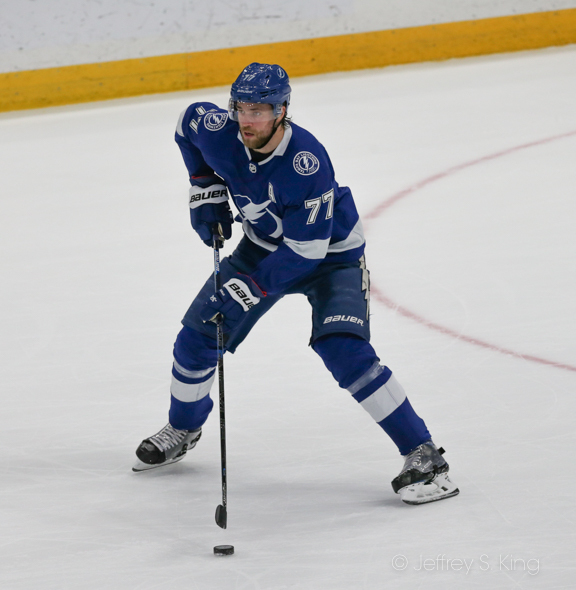 Now that the Bolts have clinched the league's best record, the bigger goal is ahead. "Trophies are hard to win," Cooper said. "They truly are. I think when you win one, you should be damn proud of it. When you think of the National Hockey League, you see it every June that the Stanley Cup is raised over somebody's head. There are 82 games before you get to that point, and I know there's a lot of teams in this league that haven't won that trophy. I think it's something you should embrace and enjoy and something where you will always look back and say that the 18-19 season we got the most points in the regular season. We did it fairly early and it should be exciting for our guys. "In our organization, it's never been done. I look at it as a great accomplishment and a reward to our players and our fans for an unbelievable regular season. In saying that, does that predict future success? It does not. There are two entirely different seasons. In order to have an opportunity to win the Stanley Cup, you have to make the playoffs and that's what we’ve done and we're really excited about that." Said defenseman Ryan McDonagh: "At the end of the day, a great regular season will be remembered somewhat, but we want to be remembered for what happens in the playoffs. We've set ourselves up for a great opportunity here, and we've got to get through these last nine games. Hopefully healthy and playing on all cylinders, and really just focused and determined and ready to stand to any challenge." For Stamkos, his 36 goals are the most since he had 36 in 2015-16. "It was really cool," McDonagh said. "It's an incredible accomplishment. Not too many guys are fortunate enough in being with one organization for that long. He's only going to add to it, which is even more incredible. But tremendous player obviously, great leader off and on the ice and so consistent. What more can you say about him? He brings it every night for us, and it's great to see him be number one." The Bolts now go on the road. They play the Washington Caps again on Wednesday. The puck is scheduled to drop at 7:30 p.m.